In recent new, pop star Justin Bieber was arrested this Thursday morning in Miami Beach for drag racing, driving under the influence, and resisting arrest. The 19 year old pop singer was charged with a DUI, and reportedly admitted to having alcohol, marijuana, and other prescription drugs earlier that night. According to police reports, Bieber’s blood alcohol level was .04. In Florida, a blood alcohol concentration of.08 or higher constitutes impairment beyond the legal limit. Although Bieber’s blood alcohol concentration was below the legal limit, the state of Florida has a zero tolerance law for drivers under the age of 21. If you are over the age of 21, a police officer may still arrest you for a blood alcohol concentration (BAC) below the legal limit if they suspect that you are impaired while operating a motor vehicle. A DUI, or Driving under the Influence is the act or crime of driving while affected by alcohol or drugs. Arrests for drunk driving are very common among celebrities, as well as drivers in the state of Florida. However, many Florida drivers are unaware of what a DUI is. If you are in physical control of a vehicle while impaired by alcohol, prescription medication, illegal drugs, or any other type of drug, you are driving under the influence. If you are pulled over by law enforcement, follow these tips to avoid possible DUI conviction. Although you have the right to remain silent, doing so will certainly raise an officer’s suspicions of your driving under the influence. It is wise to answer the officer’s questions without going into specifics. Details such as the amount of alcohol you have consumed, or that you just left a party or football game should be cautioned. If the police officer is suspicious and tells you to exit your vehicle, you may consider these directions. You may refuse to submit to a sobriety test, and remember that you always have the right to contact a DUI Lawyer before submitting to any test that may be conducted. 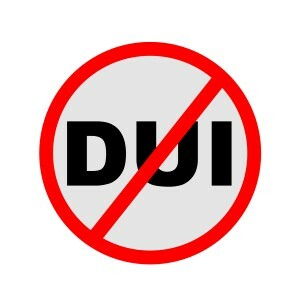 If you are charged with DUI, it is important to seek legal counsel immediately from a criminal defense attorney! Call Blick Law Firm today at 888-973-2776. Make an appointment for a free 15 minute consultation with attorney Michael Blickensderfer to determine what your options are moving forward. This entry was posted in Blog, Criminal Law, DUI and tagged drunk driving, dui lawyer, is a dui a felony, JUSTIN-BEIBER, UNDER-THE-INFLUENCE. Bookmark the permalink.